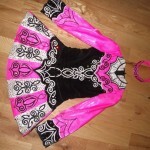 Beautiful Elevation Design Dress made in Belfast. 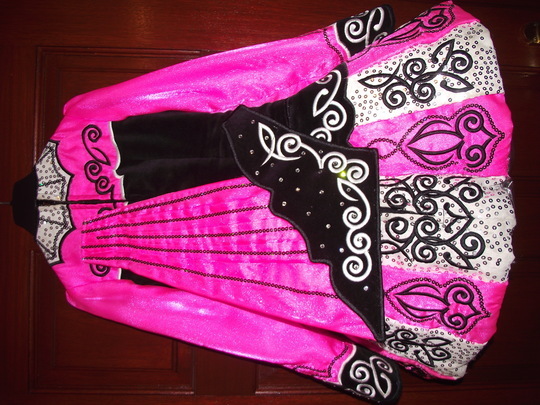 Modern style but with a traditional embroidery design. 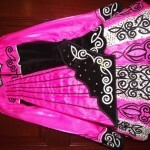 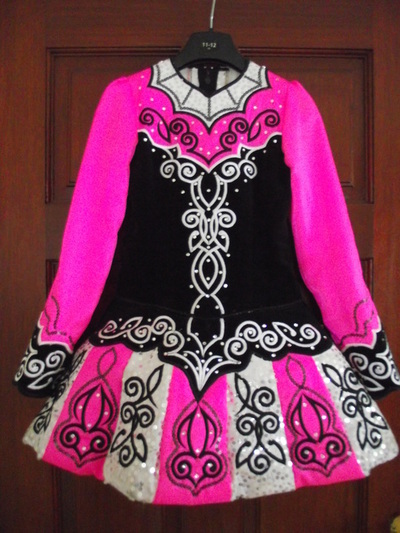 Gorgeous bright pink with black velvet bodice with white celtic stitching and a lovely ‘puff-ball’ type skirt – all finished with swarskovski crystals. 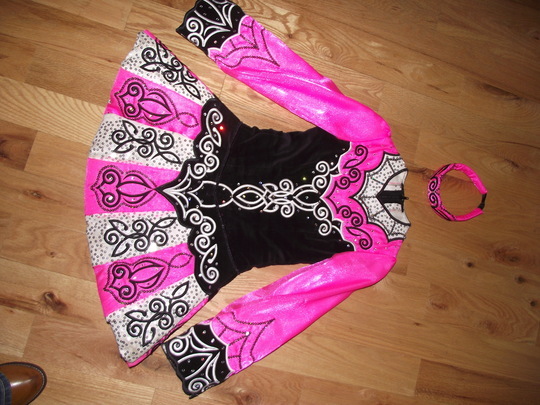 This lovely little dress hasn’t been altered and so there is some room for let out and let down.